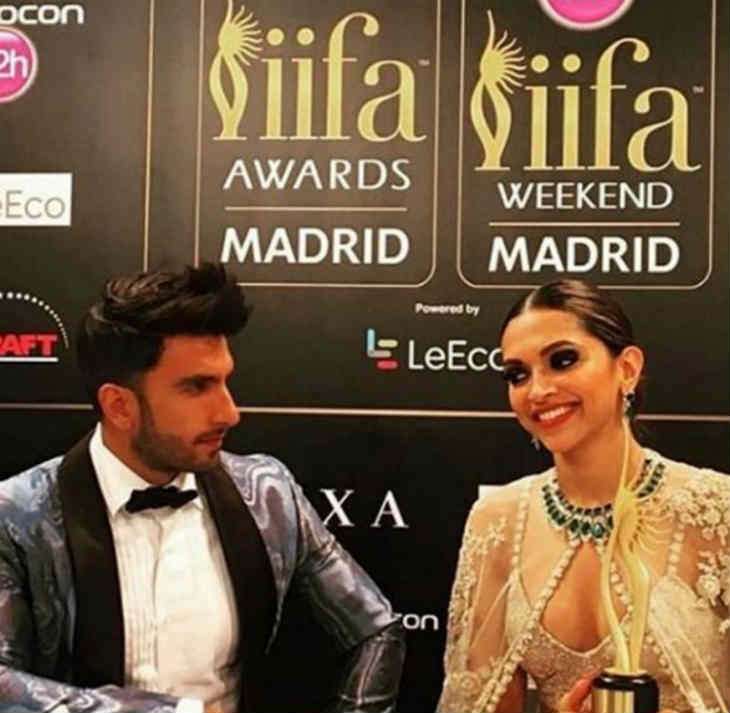 Deepika Padukone took home the Award for Best Leading Actress at the 17th International Indian Film Academy Awards (IIFA 2016) for her performance in Shoojit Sarcar's family drama, Piku. The actress, who was also nominated in the category for her performance in Sanjay Leela Bhansali's Bajirao Mastani, chose a customised Sabysachi outfit for the glitzy evening. Her ivory outfit, with cape detail and a bralet-top was accompanied with dramatic makeup, smokey eyes and a teased ponytail. A stunning emerald statement neckpiece, matching earrings and rings from Anmol remained Deepika's choice of accessories for the appearance at the IIFA 2016 green carpet. The actress who wore a deep-red, sparkly Sabysachi saree at the 2015 edition of the awards, opted for an elegant look this year. She looked like a force to be reckoned with in that black Swapnil Shinde gown. However, there was something special about the Sabyasachi ivory gown that the leggy lass chose to flaunt for the main event. The detailing of the outfit was inspired from the Spanish bullfighters. A hat-tip to the host country of this year's edition of the IIFA.